Senator Ted Kennedy was diagnosed with a malignant brain tumor after he suffered seizures. The prognosis is seen as poor. We send our prayers to the Kennedy family. 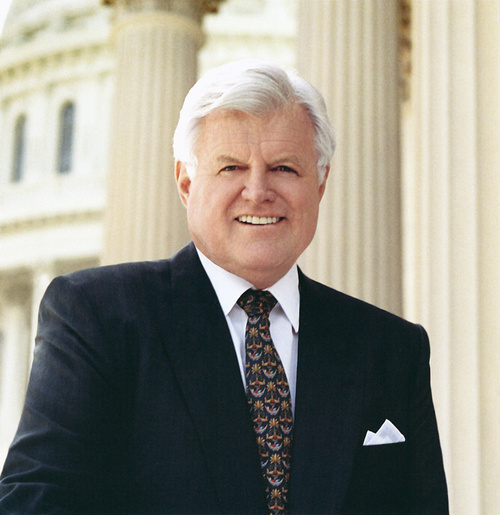 Senator Ted Kennedy was rushed to the hospital after he suffered seizures. Sen. Edward M. Kennedy was hospitalized Saturday after becoming ill at his home, his office said. There was no immediate word on his condition. A knowledgeable official said the Massachusetts Democrat was in the hospital after suffering stroke-like symptoms. The official declined to be identified by name, citing the sensitivity of the events. Kennedy spokeswoman Stephanie Cutter confirmed in a statement that Kennedy went to Cape Cod Hospital on Saturday morning "after feeling ill at his home." After discussion with his doctors in Boston, Kennedy was taken to Massachusetts General Hospital for further examination. "He is currently under evaluation that information will be released as it becomes available," she said. Hyannis Fire Lt. Bill Rex told The Associated Press that a 911 call came in from the Kennedy family compound at 8:19 a.m. A man was transported to Cape Cod Hospital and transferred by air at 10:10 a.m. from Barnstable Municipal Airport to Massachusetts General. David Reilly, a spokesman for Cape Cod Hospital, said that Kennedy was brought to the hospital at about 9 a.m. and stayed for about an hour before being flown by helicopter to the Boston hospital. He said he could not comment on Kennedy's condition or treatment because of medical privacy laws.